You know the old saying, “Red sky at night, sailors delight. 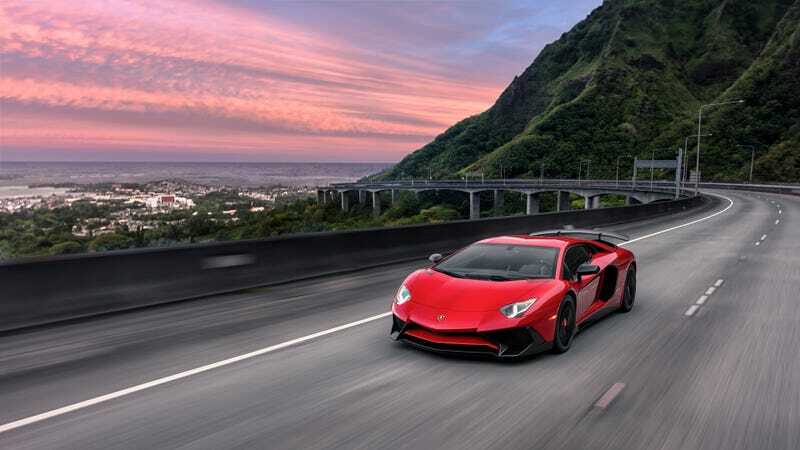 Red Lambo in the morning, life will never be boring.” That’s it, right? From Trevor Jolin we received this gorgeous six-photo set of Lamborghini’s latest high-speed V12 bruiser. As if the car wasn’t cool enough to stand on its own, the pictures were taken on a gorgeous day in Hawaii. They managed to stay out of the lava flow, but this car is hot enough on its own! You can see more of Trevor’s work on Instagram: @trevorjolinphoto.